SuiteCRM is a popular open source CRM application that was forked from SugarCRM and that contains many additional features and bug fixes. 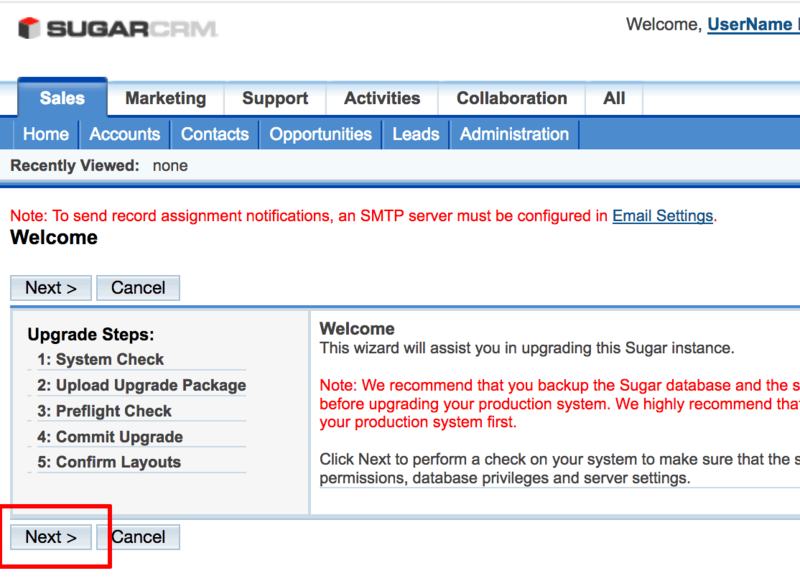 This guide walks users through the process of migrating from SugarCRM to SuiteCRM. You are running SugarCRM 6.x. 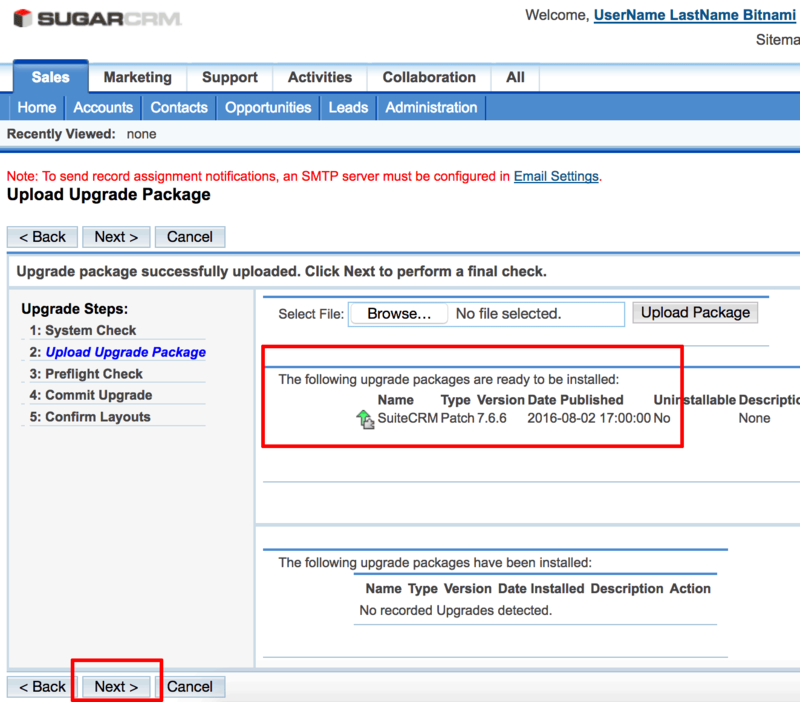 If you are using an older version, you must first upgrade to SugarCRM 6.x. 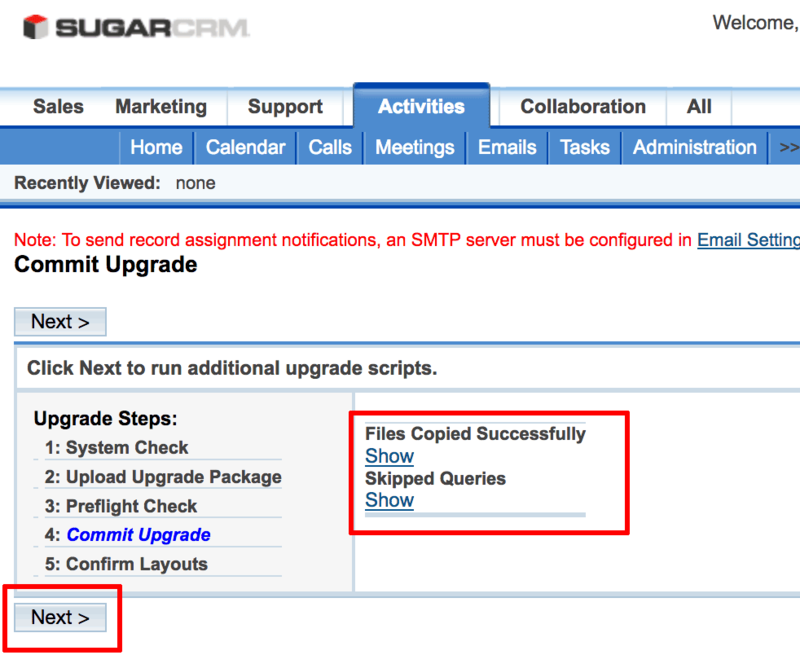 Refer to the SugarCRM documentation for your version for detailed upgrade instructions. You have created a backup of the application database and files before starting the upgrade process. Log in to the server console using SSH. IMPORTANT: Note the original values so you can restore them after the upgrade process is complete. 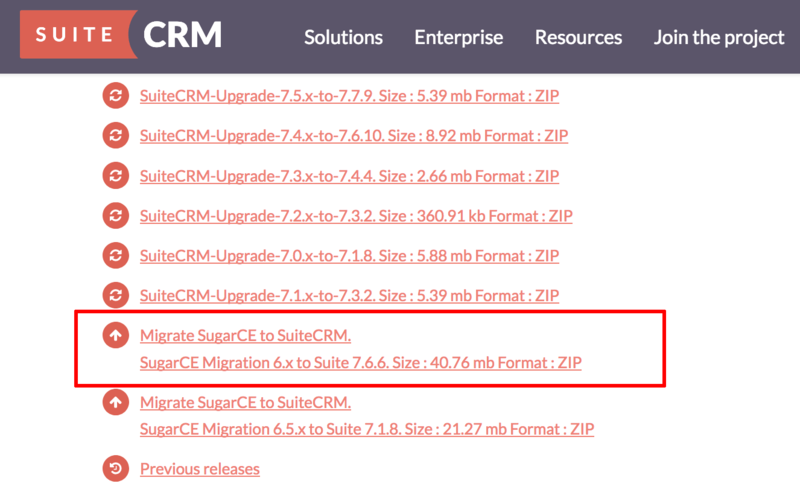 Download the “SugarCE Migration 6.x to Suite 7.6.6” migration package from the SuiteCRM upgrade page to your local system. 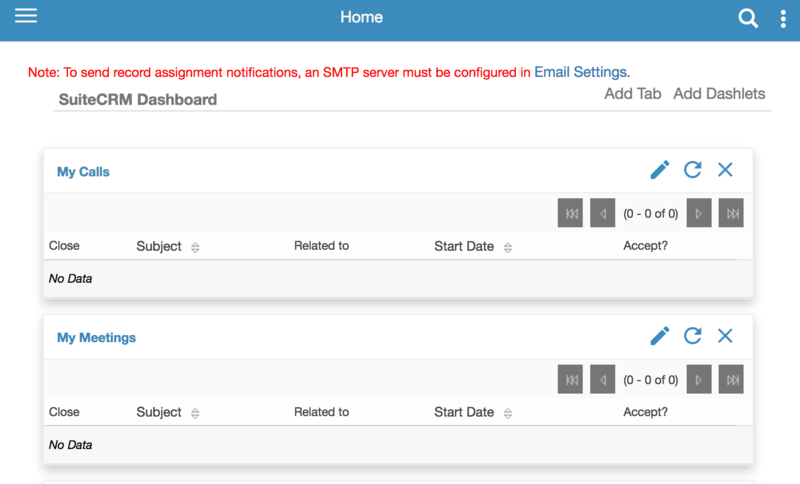 Log in to the SugarCRM administration console and browse to the “Admin -> Upgrade Wizard” page. On the “Welcome” page, click “Next” to perform a system check. Confirm that the system check is fine and click “Next”. 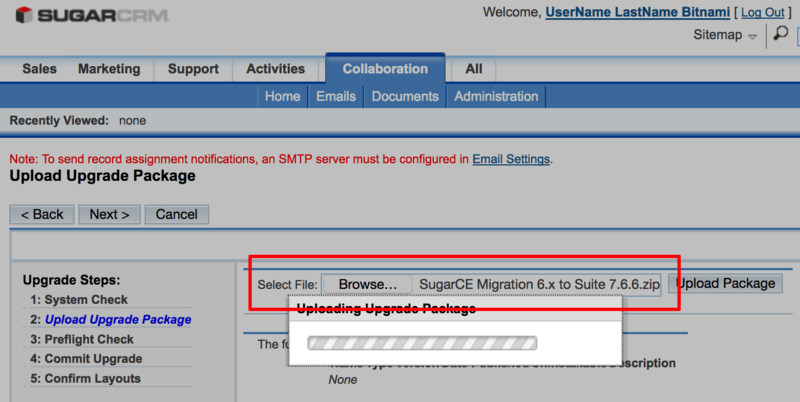 On the “Upload Upgrade Package” page, select the “SugarCE Migration 6.x to Suite 7.6.6” file downloaded earlier and click the “Upload Package” button. The upload will take a few minutes to complete. Once the package has been uploaded, click “Next”. 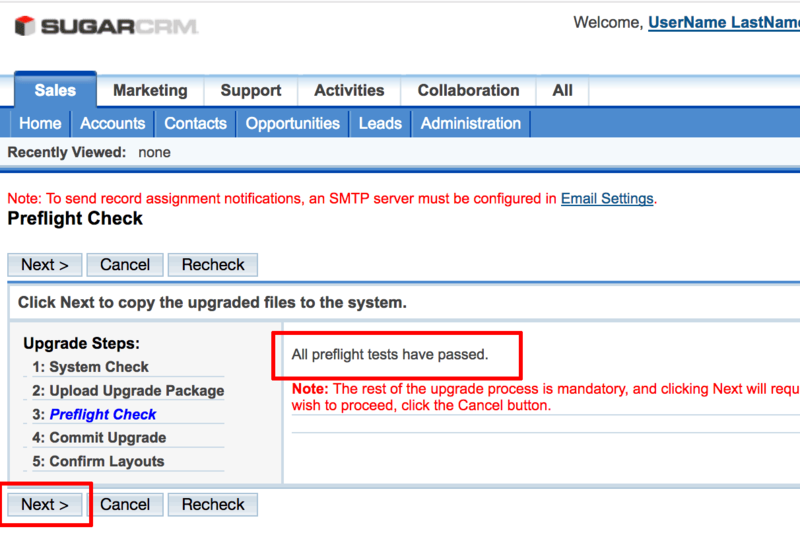 Once you receive confirmation that all pre-flight tests have passed, click “Next” to begin the upgrade process. Wait until all files are copied and you see a success notification like the one below. Click “Next” to confirm layouts and finalize the upgrade. IMPORTANT: As the upgrade is finalized, you may see a “Gateway Timeout” error. This is a transient error that can safely be ignored. Wait a few minutes and reload the application welcome page again. Edit the /opt/bitnami/php/etc/php.ini file and restore the values of the PHP variables modified earlier.